Of all the games free that we show to iPhone , there are some that stand out more than others for its strong addictive or its graphic quality, the title that we showed today noted for both, and deserves at least a look on this article before you judge whether it is worth taking a few megs in memory of your terminal or not. Gears is a rolling ball type game slightly reminiscent success Kula World, that is, our goal is to keep track of and control at all times a nice ball through many levels filled with hazards, thus carry a point to another screen. Gears is a game graphically very detailed, with its own light shine on iPad 2 and the new iPad, without detracting from the iPhone screen 4 or its predecessors. The player must control with your finger movement of the ball to prevent it from falling over the edges or in the different traps, in many different scenarios. If you want to download Gears then we leave you with the direct link to the AppStore where you can download it for iPhone, iPhone and iPod Touch. 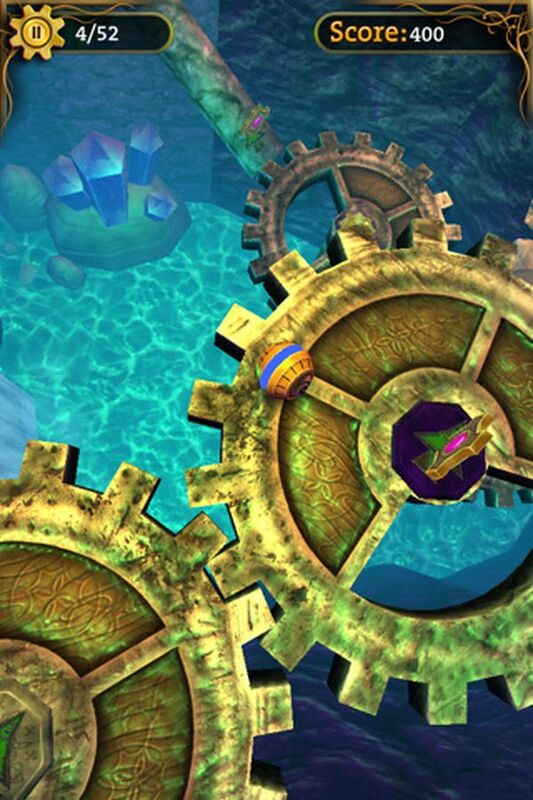 Each level of Gears has different paths and secrets to us to play with adventurous spirit and risking to not leave a single corner unexplored, or play it safe on the fast track to finish the level quickly. The physics of the game responds very realistic depending on how we play the ball on the screen, a soft touch and precise arrimarnos will help a little or a little kick and throw the ball long farewell to the chosen direction. Gears is set in 3 different worlds offering 27 different levels. The player must handle the ball worlds ranging from: The dangerous rivers of magma, where we have to go through the depths of a volcano at the time we got the highest score possible; The cavern of the prophecies, which is full of secrets and paths, seasoned with lakes, waterfalls, labyrinths and traps, many pitfalls, the bestiary of Brass is a realistic world set in style steam technology "Steampunk". Gears options are varied, as we complete some levels in just 45 seconds and others will have more than 10 minutes remaining of our ball. The player can also decide whether to play with a time limit, thus obtaining a greater number of points. 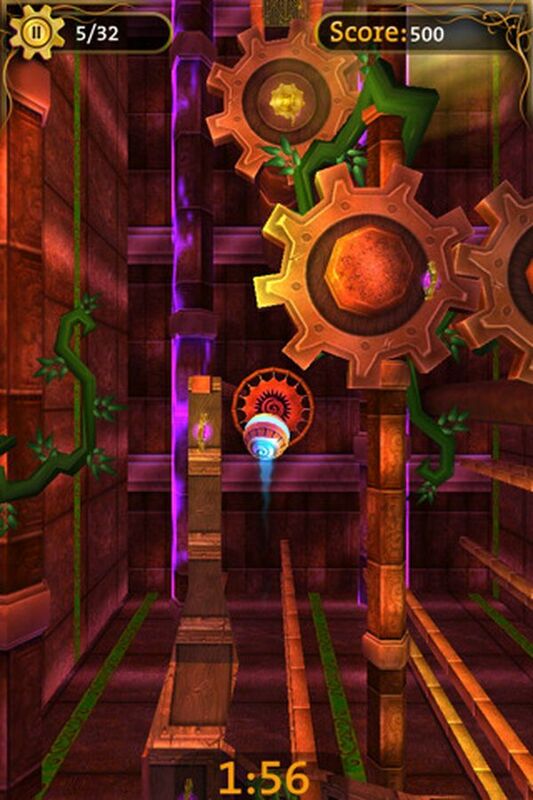 Gears is a title that invites you to play several times, as the levels can be completed in different ways, which will make many curious recurrence to choose a path not previously explored. No more I leave you with the direct link to the App Store where you can download Gears for your iPhone or iPod Touch. Let us now speak of the arrival in the social network Facebook in an interesting new game that bears the stamp of the factory Disney . 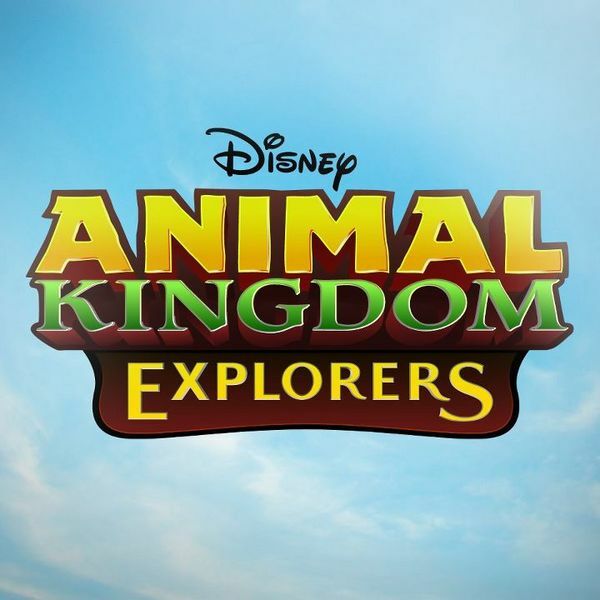 It's Animal Kingdom Explorers, a new social adventure inspired by the Disney theme park, Animal Kingdom, one of the theme parks of the world's most popular animals, located in Walt Disney World Resort in Florida, USA. The essence of the game is the same that characterizes the park, keeping the message of conservation and protection of animals and their environment. Like most Facebook games to start playing some simple rose will make a tutorial that will show the basics of Animal Kingdom Explorers, before we get to our free will. Thus, first we meet some of our colleagues, we will make our first purchase of an animal, we will travel around the world where we will have to find a few hidden objects on the screen, and will condition our plot at the store buying new pieces of grass. Of all the locations the game, Harambe and Anandapur are those that are closely based on the actual theme park. 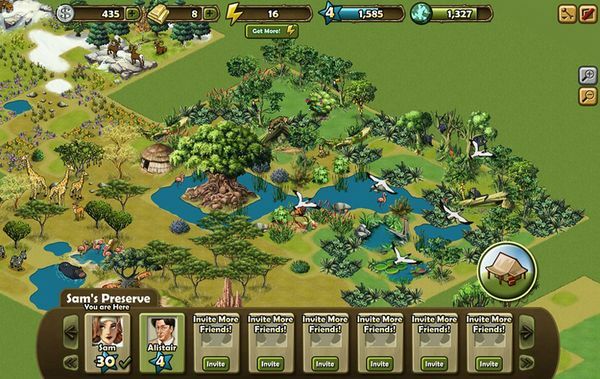 Although the game can please any player, Animal Kingdom Explorers is mainly focused on the nature lovers, as their argument attempts to continually raise awareness of the importance of protecting the natural environment and all its animals. Disney Interactive has confirmed that the game will be constantly updated and in addition, until 31 May, all players entering Animal Kingdom Explorers through the web www.playanimalkingdom.com and complete the tutorial, will contribute a $ 0.20 donation which will go to Jane Insitote Goodall, a world famous organization to work in the conservation of chimpanzees and their natural surroundings. If you want to play for free at Animal Kingdom Explorers we leave without the direct link that will take you directly to Facebook. The only requirement to access the application is to have an account on the social network. . Animal Kingdom ExplorersFree on Facebook. The sum of the genres of arcade and strategy translates into "Tower Defense" (tower defense), where our work will be protected at all costs a key point using turrets will eliminate any threat to its range. Towers N 'Play Trolls come to Google for Android devices with the best of the genre set in the medieval and fantasy. The main attraction of the game is its price, which we can find for free on the Google digital bazaar. As mentioned, the main goal of the game is to survive the waves of enemies that come to our location surpassing our defenses. These defenses are nearly always ranged attack, each with different costs and statistical use only, with the right combination of them the solution to each of the levels that we find in a game of this genre, let alone level or structure of the enemies to be touched. On this occasion Towers N 'Trolls leads to a medieval and fantasy, where we have to defend against hordes of trolls, through towers and watchtowers that will kill all enemies in its area of effect. The source of revenue is gold , which will serve in combat to add new towers to the level and continue to build defenses. This gold will be generated gradually with the help of special items or simply from the stage. Download Hambo, the little piggy free for your Android phone. It is possible thanks to the game birds pissed Angry Birds , the pigs were seen as villains willing to do anything to carry out their evil plans. Nothing is further from reality, there are also pigs willing to ensure good order and peace of this world cleaning every evildoer to avoid the injustices that surround us. 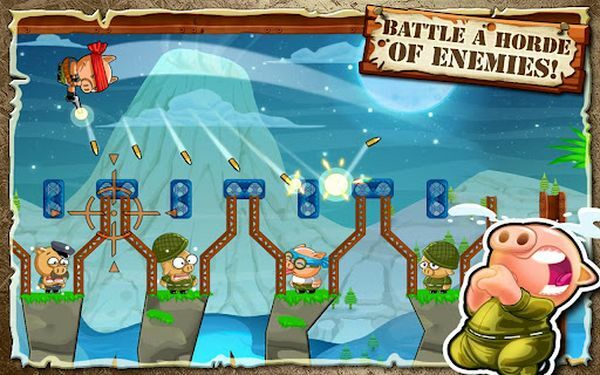 This is the case of Hambo, a friendly and guerrilla character in recent weeks has positioned himself as the protagonist of one of the games downloaded from Google Play, the bazaar of operating system applications Android smartphone. Hambo (the game) has been developed by the company Minichip.com, a small study that had the idea of creating a Hambo, a small pig Rambo-style, which will make every effort to rescue his friend Bacon, a weak and helpless character who has been kidnapped by an evil pig militia armed to the teeth. The game is presented as a shooting game, logic and skill where you will have to eliminate bad for more than 200 levels. Then we leave the direct link where you can download Goolge Play Free Hambo for your smartphone. .